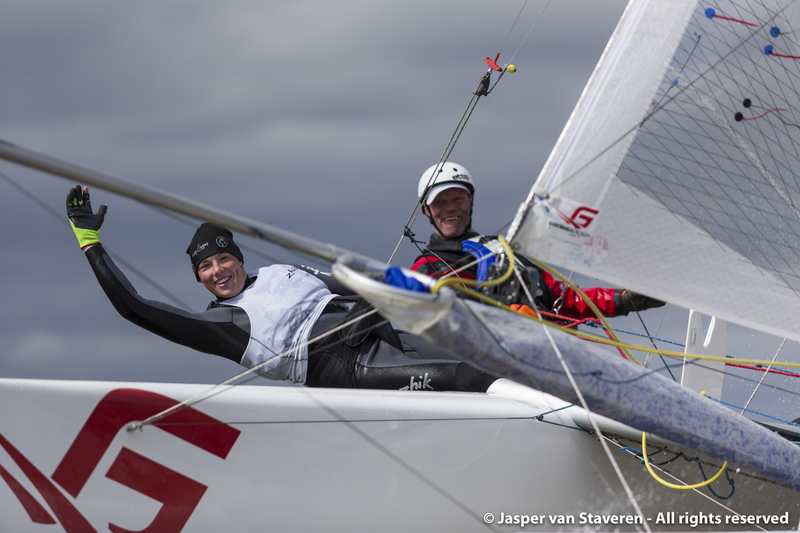 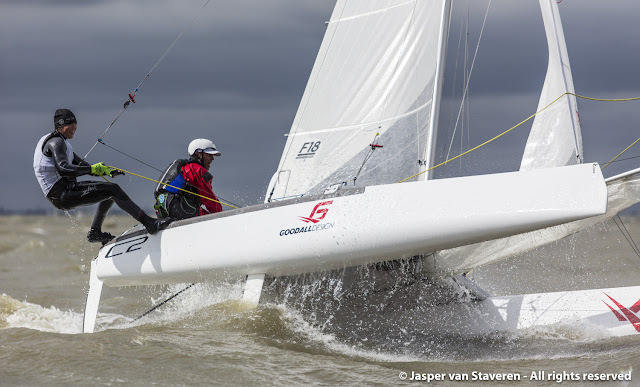 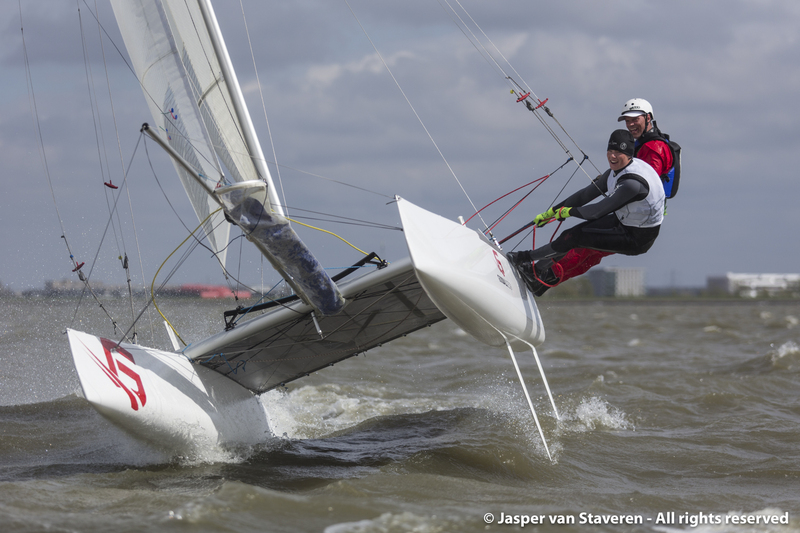 Pics & report by Jasper van Staveren: "No races today, only the Swedish F18 sailors Mathias Söderström (helm and winner of the last Stockholm Archipelago Raid) & Rasmus Rosengren (crew) went on the water. 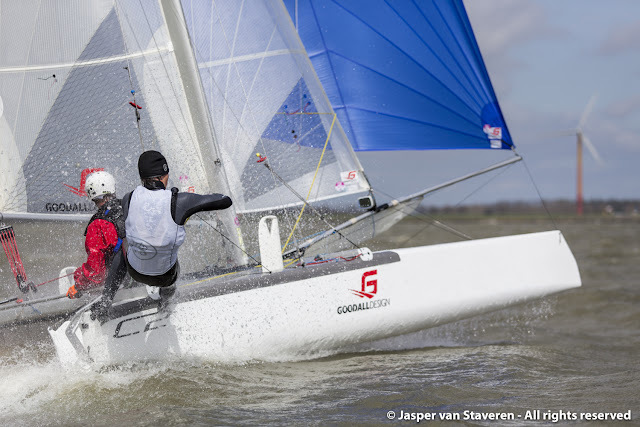 Conditions were too heavy: 23-25 knots with guts of 28. Tomorrow 3-4 bft with sunny conditions expected!"